In Italy, creating chocolate is a true art: following centuries of tradition, chocolatiers craft delicious confections across the 20 regions. 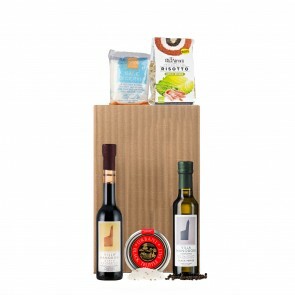 In our gift box, we explore the array of textures and flavors in regional artisanal chocolates, from the creamy spread of northern Piemonte to the grainy modica of southern Sicilia. Each offers a unique expression of high-quality cacao. 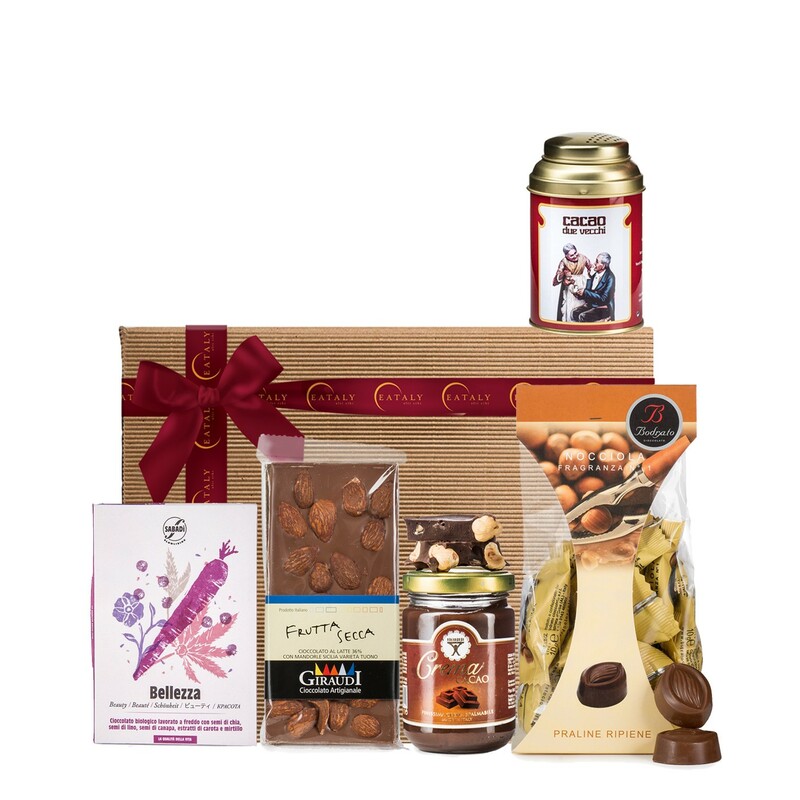 This collection includes: Milk Chocolates with Hazelnut Cream by Bodrato, Chocolate Spread by Babbi, Milk Chocolate with Almonds by Giraudi, Cocoa Powder in Tin by Venchi, Bellezza Organic Chocolate Bar with Chia Seeds by Sabadi, and a signature Eataly gift box.